It's all about choice when you're Platinum. Our top status members save on baggage fees, airport WiFi, TSA Pre✔® and more. Platinum members can choose from either TSA Pre✔® or LoungeBuddy—at no cost! Breeze through security without removing shoes, laptops, liquids, belts or light jackets at 130+ domestic airports with TSA Pre✔®. A background check and screening are required for enrollment, but we'll cover the $85 application fee. For more information on the TSA Pre✔® program, please visit tsa.gov/tsa-precheck. Take the stress out of travel and enjoy access to 280+ airport lounges worldwide. We'll send you a $50 code for access to the lounge of your choice. Book on your day of travel or up to two months in advance. For more information on LoungeBuddy, please visit loungebuddy.com. Decide which airport perk is for you. (must be a Platinum member to access). fee waiver or LoungeBuddy access. Step two: Snag your Orbucks! You don't have to pick just one—mix and match until you hit your $50/year limit. Take a photo or screengrab of your receipt. Get paid back—just like that! But that's not all. Platinum members get all the benefits of Silver and Gold Status too. Explore all Orbitz Rewards benefits. The following benefits are available to Platinum members in the Orbitz Rewards program (“the Program”). A. Airport perk: Platinum members are eligible to receive an airport perk each calendar year (January 1-December 31), EITHER one (1) unique authorization code for the application fee for TSA Pre✔® (up to $85 fee coverage) OR one (1) unique authorization code for a $50 voucher for lounge access via LoungeBuddy. As a Platinum member, you can choose the option for your airport perk of receiving one (1) unique authorization code every five (5) years for the application fee for TSA Pre✔®. To receive your unique promotion code, please request the TSA Pre✔® option on your claim submission form found on the Orbitz Rewards Platinum benefits page. The unique code and redemption instructions will be emailed to you within 72 hours. The authorization code applies to the TSA Pre✔® program only. Other program applications including, but not limited to, Global Entry, NEXUS, SENTRI, and Privium are not eligible. Orbitz has no control over the application and/or approval process for TSA Pre✔®, nor does Orbitz have access to any information provided to the government by the Platinum member or by the government to the Platinum member. Orbitz has no liability regarding the TSA Pre✔® program. The U.S. Transportation Security Administration (TSA) charges an application fee to process each application regardless of whether the member’s application is approved. Orbitz will provide an authorization code to cover the full cost of the TSA Pre✔® application fee, regardless of the decision made by TSA, but will not provide additional authorization codes or cover expenses charged to the same Platinum member within five (5) years, even if the original application is rejected. 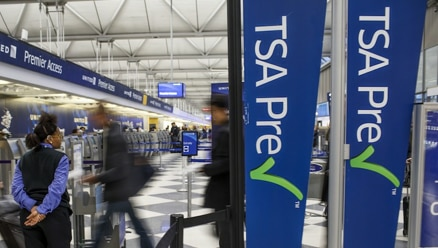 TSA Pre✔® membership is intended solely for the Platinum member who is eligible for and requests the authorization code, and may not be assigned, sold, transferred, and/or pledged to any third party or to another account. Expiration date of the authorization code will be provided at time of issuance. TSA Pre✔® program is subject to change, and Orbitz has no control over these changes. For additional information on the TSA Pre✔® program as well as full terms and conditions of the program, please visit tsa.gov/tsa-precheck. As a Platinum member, you can choose LoungeBuddy airport lounge access for your airport perk option. 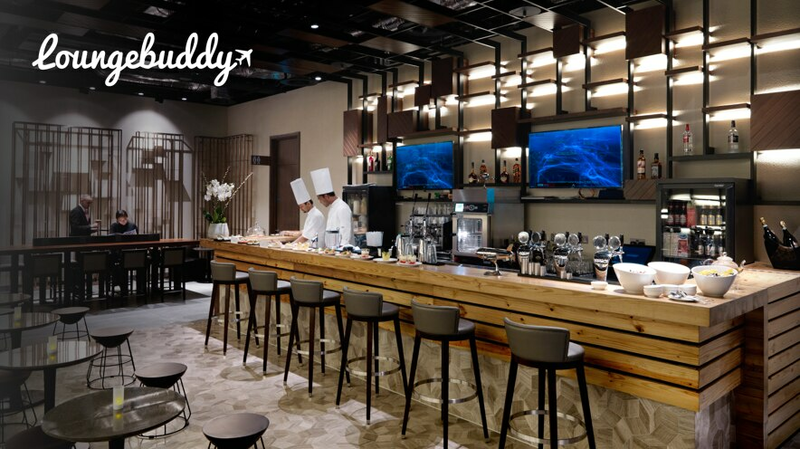 Platinum members are eligible to receive one free lounge pass up to $50, per calendar year to over 200 lounges worldwide at participating airports, redeemable on lounge access through loungebuddy.com only where your unique promotion code can be applied. This unique promotion code is applied via a unique link. To receive your unique promotion code, please request the lounge access option on your claim submission form found on the Orbitz Rewards Platinum benefits page. The unique code and link will be emailed to you within 72 hours. This code is unique for each member and will allow the free lounge pass up to $50 to be claimed once per calendar year. Only one code per transaction may be applied. Codes are redeemable on loungebuddy.com only. If your lounge pass is greater than $50, the voucher will be applied against the greater amount, with the customer paying the difference at loungebuddy.com checkout. If the lounge pass purchase is less than $50, lounge pass will be paid in full and the remainder credit cannot be used towards future purchase but can be used towards purchase of additional lounge pass at same time as original purchase. B. Orbucks reimbursement: Platinum members are eligible to receive up to $50 in Orbucks each calendar year (January 1-December 31) as reimbursement for the costs of any of the following qualifying expenses incurred during the calendar year: baggage fees; seat assignment/upgrade fees; Orbitz Activity purchases; airport or in-flight WiFi; in-cabin pet fee; and/or Orbitz ground transportation purchases. The list of qualifying expenses is subject to change at any time. Fees for qualifying expenses must have been incurred on stand-alone flight bookings, flights booked as part of a vacation package, or other qualifying purchases made on Orbitz.com or the Orbitz mobile app after November 1, 2018. Travel must be completed in accordance with the booked itinerary and must have occurred during the calendar year when eligible for the Orbucks reimbursement. A maximum of three receipts for qualifying expenses may be submitted in a calendar year for a cumulative total of $50 in Orbucks each calendar year. C. Silver and Gold member benefits: Platinum members are eligible to receive all benefits enjoyed by Silver and Gold members. See orbitz.com/rewards/benefits for benefits by tier. Platinum members must submit their claims for benefits for a calendar year by January 12th of the following year by filling out and submitting the form found on the Orbitz Rewards Platinum benefits page. After receipt and verification, an Orbitz customer care associate will be able to email the code for a TSA Pre✔® application or LoungeBuddy pass purchase, and/or provide up to a $50 credit in Orbucks or as applicable. You must have a valid Orbitz Rewards account in good standing and be a Platinum member at the time the claim is submitted. All requests for Platinum benefits claims, including receipts, are subject to verification by Orbitz. Orbitz may reject any claim that it believes, in its sole discretion, is the result of a printing or other error or is made fraudulently or in bad faith. Verified requests for Platinum benefits claims will receive their Orbucks within approximately 7-10 days of verification. Orbucks will be awarded to the Platinum member, regardless of who incurred the costs for the eligible expense. Orbucks are valid for 365 days as long as there is a qualifying purchase or redemption activity through Orbitz.com on your account. Orbitz reserves the right to render any Orbucks void that Orbitz issues in excess of these limits, or issued in error, or where the customer is found to be ineligible to receive the Orbucks or has been deemed by Orbitz to be abusing Platinum benefits claims or Orbitz Rewards Program for personal or financial gains. Orbitz reserves the right in its sole discretion to modify or discontinue Platinum benefits or to restrict its availability to any person, at any time in Orbitz’ sole discretion, for any or no reason, and without prior notice to you. The terms that are in effect at the time of your booking will determine your eligibility for Platinum benefits. No change in Platinum benefits will affect any Orbucks that have already been issued to you. The failure by Orbitz to enforce any provision of these Terms & Conditions shall not constitute a waiver of that provision. Orbitz reserves the right to discontinue any of the Platinum benefits described above at any time with or without notice. Platinum benefits are subject to the complete Orbitz Rewards terms and conditions.